When you’re a website owner, one of your goals should be to bring in as much qualified traffic as possible. Search Engine Optimization (SEO) techniques will help you get rankings but they need to be accompanied by good updated content. One way to provide this content is through your blog. Not only will it help with SEO on your site but it will also help your customers see you as a subject matter expert. Anyone who owns a website knows that getting their website to show up in the top 5% – 10% of search rankings is not an easy task! Although there are many areas to focus on that can help bring your site to the top of the heap, looking for the best ways that will get your site recognized by Google Search SEO should be a top concern. There are more than 200 SEO factors that Google utilizes in order to rank their pages, so let’s start with a few of the most important for your blog posts. You must first know who your audience is before you can start writing for them. Once you’ve figured who your targeted audience is, you are now able figure out the best ways to write for/to them. Consider your audience with each blog post you write and figure out what they would want to know more about. Keywords. One of the top ways to optimize your blog post is by using keywords that have high search volumes in the content. When first choosing keywords, a good place to start is by choosing any and all keywords/keyword phrases that are relevant to your particular website or industry. You can then start narrowing down these choices as you start to write, picking and choosing which keywords are most suited to your particular blog post. Quality Content. The content of your website is very important! The ability to write high-quality articles and/or blogs that contain trustworthy and solid information is a huge plus. Many blogs on websites appear to be thrown together with a few assumed keywords spammed in for good measure, which is not the way to create good content. Other blogs are written in less than 100 words, which is usually not long enough to provide what can be called good content. Be Consistent. Show your readers you are reliable by not only being consistent in your writing style, but by adding new information about your particular website / industry / niche via blogs on a regular basis. The search engines love it when you’re consistent as well! Guest Blogging. 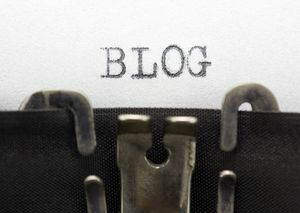 Guest blogging is a great way to increase your readership and get a good one-way link back to your site. Both of these can lead to more quality leads. There are many websites that allow guest bloggers. Try contacting related sites or searching for directories where people looking for guest bloggers post. Important to remember is that this is not an invitation to write a marketing piece. Your blog needs to be well written and include good content. For most businesses, blogging about issues and items that may pique your potential clients interest makes sense. The extra benefit is that a greater amount of high quality and relevant content on your site is well received by Google and will make it easier for people to find you.